Thỏa thuận về việc phái cử và tiếp nhận lao độnggiữa Chính phủ nước Cộng hòa xã hội chủ nghĩa Việt Nam và Chính phủ Vương quốcThái Lan, ký tại Băng-cốc ngày 23 tháng 7 năm 2015, có hiệu lực kể từ ngày23 tháng 7 năm 2015. 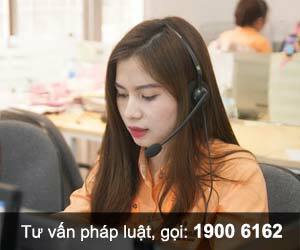 Bộ Ngoại giao trân trọng gửi bản sao thỏa thuậntheo quy định tại Điều 68 của Luật nêu trên./. The purpose of this Agreement onthe Employment of Workers (hereinafter referred to as the “Agreement”) is todevelop and expand cooperation between the Parties and establish a concreteframework for faciIitation contractual employment of workers in the territoryof the Parties in an efficient, transparent and cost effective manner. c. Workers are entitled to obtainlegal protections and shall abide by laws of the other Party. The Parties shall cooperate on theemployment of workers in the construction and fishing sectors as a pilotproject. e. “Receiving Agency” refers tothe Government Agency authorized by the competent authority and the agency(ies)approved by competent authority or by such authorized Government Agency toreceive the workers from the sending agency to work in the receiving countryunder this Agreement. b) Ministry of Labour on behalf ofthe Government of the Kingdom of Thailand. 1. Workers who entered theterritory of the receiving country for employment under this Agreement shall beentitled to the same fair treatments as enjoyed by local workers based on thebasic principles of non-discrimination and equality, regardless of gender,ethnic and religious differences. 2. Workers who entered theterritory of the receiving country for employment under this Agreement shallobtain protection, rights and benefits in accordance with the employmentcontracts, labour laws and regulations in force in the receiving country. 3. Employees can transfer theirmoney and rightful property. 4. Employees shall abide by laws,rules and regulations; respect local customs, traditions of the receiving Partyand shall not take part or interfere in political affairs or any other internalmatters of the receiving Party. 5. Employees shall contribute tothe funds, if any, in pursuant to the laws and regulations of both countries. 6. Employees shall pay taxes orothers as required by the laws and regulations of both countries. 7. If the employment contract hasbeen terminated before its due date resulted from the fault of the employee, he/sheshall return to their country of origin on his/her own expense. 8. Employee is allowed to workonly after they are granted the work permits by the competent authority of thereceiving country and the employee shall work only for the permitted employerand in the permitted areas. 1. Employers are responsible for applyingfor visa, work permit as well as complying with the laws of the receivingcountry concerning social security and workmen’s compensation. 2. In the event of an accident orserious illness or death of the employees during the term of employees contract,the employers shall notify the competent authority of the receiving country andthe embassy of the sending country located in the receiving country. Suchemployers shall make all the procedures to claim insurance for the workers andarrange for the repatriation of the empIoyee's remains and personal belongingsto their country of origin in case of death. 3. For the reason of safety andhealth of foreign workers, employers shall arrange the proper accommodation foremployees and employees should accommodate in the arranged premises. 4. If the employee’s employmentcontract has been terminated before its due date and the termination is notfrom his/her fault, the government authority shall make effort to find the newemployer for the duration remains in his/her work permit or the employer mustbe responsible for an economy class ticker for him/her to return to his/hercountry. 1. Recruitment of workers andtheir entry into the territoty of the other Party for employment shall beregulated in accordance with relevant laws, rules and procedures of bothParties. 2. The sending agency shall havethe transparent and efficient system for the registration of workers who arewilling to be recruited to work abroad under this Agreement. 3.The receiving agency shallinform the sending agency of the name list of permitted employers who haveindicated their intention to employ foreign workers, including the number ofworkers, qualification of workers required, condition of employment and offeredremuneration. 4. The sending agency shallconduct the matching process between the permitted employers and the registeredworkers or facilitate the permitted employers on the workers selection process. 5. The sending agency shall informthe receiving agency of the name list of workers who pass the recruitmentprocess and the medical checkup as agreed by the Parties. The selected workersshall be offered an employment contract before travelling to the receivingcountry. 1. The employment contract,approved by the competent authority of the receiving country, shall beconcluded between the worker and the employer for the duration of 2 (two)years. The term of employment contract is extendable, if necessary, for another2 (two) years. After completion of the term of employment, the worker shallreturn to their country of origin. In the case of re-applying foremployment in the receiving country, a worker needs to return to their countryand a 30 (thirty) days break is required before re-applying for employment. 2. The sending agency shallprovide the workers with a copy of the employment contract. The employment contract and allother documents relating to the employment of workers shall be done inVietnamese, Thai and English, and authenticated by the Embassy of the sendingcountry located in the receiving country. 1. The competent authorities ofthe Parties shall provide their counterparts with the information on language,religion, living and working conditions in the receiving country includinginformation on workers’ rights, duties and benefits under the laws andregulations of the receiving country. 2. The competent authority of thesending country or sending agency shall conduct a mandatory orientation for theworkers concerning the information as prescribed in Paragraph 1 of Article 9including contents of the employment contract or written offer of employmentsent by the employers to the workers to ensure that workers have clearunderstanding of the terms and conditions of their employment. 3. Health insurance or healthservices as required. 1. The Parties shall extend their fullestcooperation to ensure that the employee who has completed their term ofemployment contract or whose employment contract has been terminated before itsdue date resulted from the fault of the employee shall return to their countryof origin. 2. The competent authorities ofboth Parties shall be responsible for administrating the name list of employeespermitted to work under this Agreement. The Competent Authorities shall keepthe name list of employees who have returned to their country of origin at theend of their employment term for the purpose of reference and review. 3. The competent authority shallestablish measures to ensure that the employers shall notify the competentauthority of the receiving country the name list of employees who have lefttheir employment either by the completion of their employment term or any otherreasons. The competent authority of the receiving country shall, in turn,provide such name list directly to the competent authority of the sendingcountry. Any dispute occurred between theemployees and employers regarding the employment shall be settled in accordancewith laws and regulations of the receiving country. 1. The Parties shall take all necessarymeasures, in their respective territory, to prevent and suppress illegal bordercrossing, human trafficking for, employment and illegal employment of foreignworkers. 2. The competent authorities ofthe Parties shall conduct a meeting on the implementation of the Agreementperiodically for senior officials. 3. The competent authorities ofthe Parties through the coordinating officers shall work together to solveproblems as well as to protect rights and benefits of workers in accordancewith employment contract including laws and regulations of the receivingcountry. 1. Any changes of this Agreementshall be made by mutual consent through negotiation between both Parties. 2. The Parties may revise, amendor modify this Agreement by mutual consent through diplomatic channel. 1. This Agreement shall enter intoforce on the date of signature by the Parties. 2. This Agreement shall beeffective for 2 (two) years, and may be renewed upon mutual consent and shallremain effective during its renewal process unless either Party requests toterminate its effectiveness. 3. Either Party may request toterminate this Agreement or suspend the implementation of this Agreement on anyreasonable ground by presenting written notice to the other Party. 4. The termination shall takeeffect 60 (sixty) days after the date of presenting written notice to the otherParty. 5. The termination of thisAgreement shall not affect the validity and duration of any employment contractuntil the completion of such contract. IN WITNESS WHEREOF, theundersigned, being duly authorized by their respective Governments, have signedthis Agreement. DONE in duplicate at Bangkok,Thailand on this 23rd day of July 2015, in the English language.